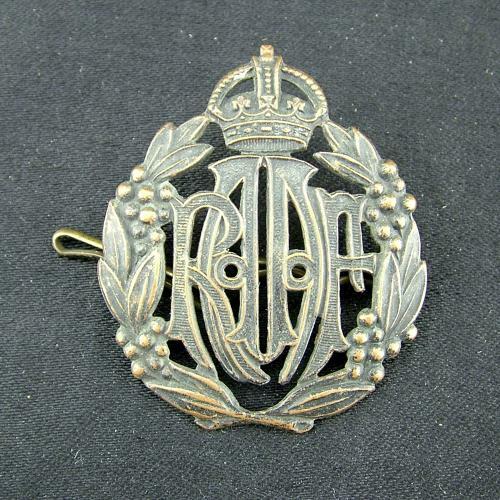 Royal Australian Air Force 'other ranks' cap badge in brass with a bronzed finish. Twin lug rear fixings with split pins. Very good used condition. Stock code U23459.